News from 6th Grade Math, 6th Grade in general and DLMS! Come in for help and work time on concepts we are covering in math class. Who: Any 6th grader needing a little extra help in Mathematics. Looking for a gift idea? 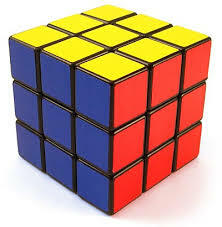 Recently a few students have been bringing in the old favorite Rubik's Cube. It has been interesting to see students interact with each other with this mathematical problem solving device. There are other types of puzzles like this. Why not give them a try also. Homework Doesn't Teach Responsibility, Sports Does. 6th Grade has a new web page. Please bookmark the 6th grade web page for teacher and team information, daily homework and more. Please sit with your 6th grader and complete the survey below. Thank you in advance. How much sleep does your 6th grader need? Here is a good place to start to find out. School is Right around the Corner. Just a little over a month before school starts. Be on the look out for deals on your school supplies. Just as with sports, school has skills that need to be practiced. You can't expect to be at the top of your game if you don't revisit your skills regularly. Try Fun and Free Summer Learning Resources from Edutopia. It has things to maintain math, reading and writing skills. We are looking for donations to our end of the year auction. If you have anything that your 6th grader enjoys and it is within your budget, please consider donating it to the auction. We are working toward having a real live auctioneer on hand for the final one. Thank you in advance for your help. Stay strong, mathematically, all summer long. TenMarks is a site that is giving a free summer opportunity where students can keep their math skills strong. Go to TenMarks for more details. Ensure that your child gets a decent night's sleep and a good breakfast before taking the test. Make the morning of the test a pleasant one. Do not add to your child's stress. Launch of the New 6th Grade Math website. Pencils, pencils and more pencils.